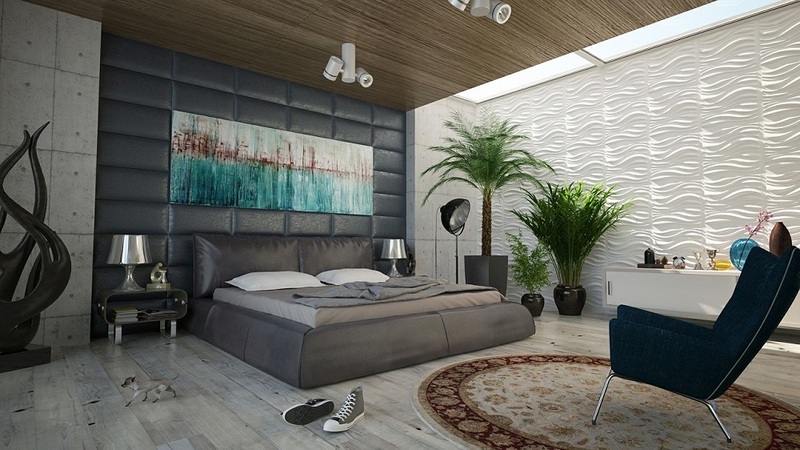 Has your master bedroom décor been neglected for far too long? All too often the master bedroom can become the dumping ground for piles of laundry, exercise equipment, mix matched furniture and mountains of clutter. You can reclaim your master bedroom space and transform it into an oasis with a few simple tips from the master designers. You don’t need an unlimited budget or the services of an expensive private decorator to achieve this. Plan to spend a weekend and follow these simple tips from the design pros and you’ll soon be relaxing in your own private oasis. The first step is to establish a budget and make a commitment to stick with it. Next, create a wish list for the changes and updates you would like to see. Spend a bit of time exploring color and texture options on one of the many websites dedicated to design. Painting a space with a fresh color can have a huge impact. Select a light, soft shade of color for your master bedroom that compliments any existing upholstery or furnishing that are to remain in the space. If you’re having difficulty selecting a color, remind yourself that selecting a baby’s name is a huge decision, selecting a $25 gallon of paint is not. Remove all of the furnishings, artwork and window treatments from the space. Any pieces that are too large should be covered with drop cloths to protect from paint splatter. Place drop cloths on the floor as well to protect floor covering. Apply two coats of paint and touch up base boards and moldings as needed. Allow to dry for at least twenty four hours before retuning any furnishings to the space. Hang new window treatments three to four inches below the ceiling height to draw the eye upwards and increase the sense of space in the room. Avoid returning the clutter and occasions furnishings to the space. Steam-clean the floors prior to returning large pieces of furniture. Take advantage of the awesome deals offered by Groupon coupons and select from the stunning bedding offered by Eddie Bauer. Congratulations, you’ve succeeded in transforming your master bedroom space into a personal oasis.